The UDS compact Series is ideal for small applications. The series consists of SDI 8×32 configurable distribution amplifier, SDI 10 x 10, as well as 20 x 20 routers. With our Line of Compact UDS routers and configure-able distribution amplifiers we have created a quality line of products designed for small-scale operations. Sitting at 1 RU, nothing has been compromised in terms of functionality, feature or durability. Our Compact Series is designed first and foremost to provide mission critical routing and distribution. The size of our compact routing series also makes them ideal for virtually any application or environment including Broadcast, Mobile Trucks, Flypacks, Production, Rental Houses and other Corporate Installations. 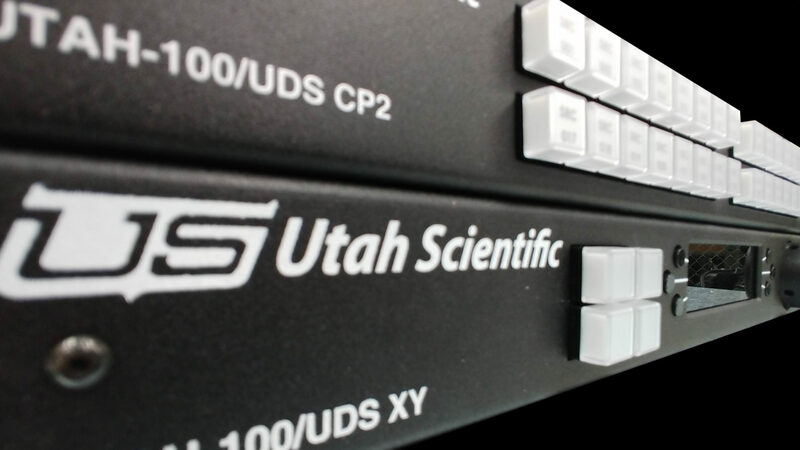 Facility integration for automation or third-party device control is easily accomplished using our industry standard Utah Scientific RCP-1 Serial and RCP-3 Ethernet protocols. All Products come with a standard inline power supply and the option to add a redundant power supply if required as well. 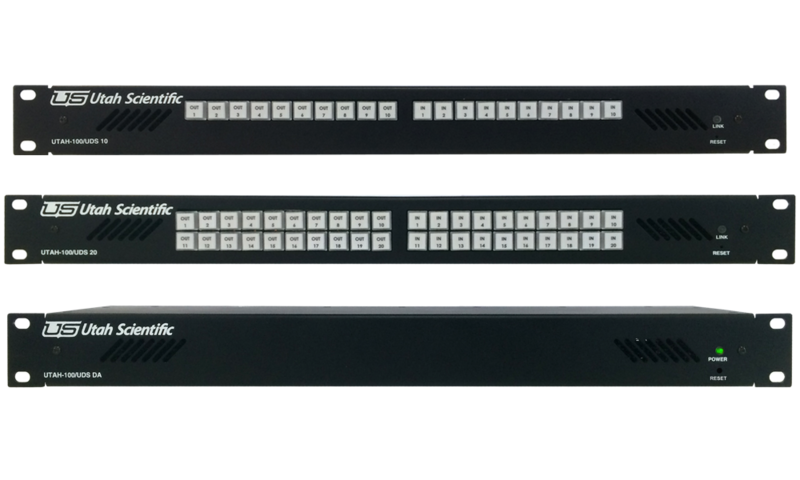 The Compact series supports all current broadcast signal formats (SDI,HD-SDI,3g SDI,DVB-ASI) with 4k Dual or Quad Link for multiple input and output configurations. Signal equalization and reclocking with automatic reclocking bypass for non-standard formats is included in all products. All SDI routers include a local control panel for fast, simple operation, using dual-color illuminated buttons for convenient router source and destination labeling. Review the Brochure for full list of products and details.
. with Belden 1694A or quivalent cable.